the Company Hi-Tech Home guests of Saint-Petersburg, rent our apartments for rent in the period from 12 to 14 may attend one of the most interesting theatrical events of the musical Onegin, which will be presented to the public in 19 hours on the dates indicated. 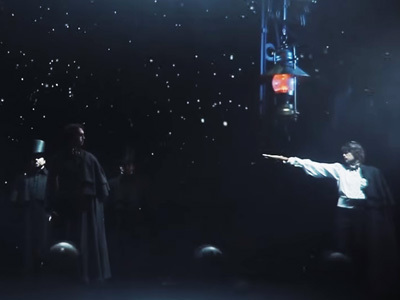 This representation is very interesting at the same time from different points of view: it is fun and a classic story by Alexander Pushkin, and the famous music by Pyotr Tchaikovsky, harmoniously reunited with the works of contemporary St. Petersburg composer Anton Tanonov, and the ability of the audience to experience the atmosphere of the time of action, and a terrific performance, sound and 3D effects. Among one of the highlights of this musical is worth to note a huge work of a large team, technically recreates this famous classical work in every detail, from the excellent costumes and props, to a variety of enhancing the viewing experience of the technician. the Musical will be held at the St. Petersburg theatre "Music hall", located in the centre of Saint Petersburg, where the guests of our apartments on Millionnaya or Italian streets will even be able to take a walk, enjoying the may sunshine and the views of the most famous places of St. Petersburg: the Palace bridge and the Hermitage Museum, the spit of Vasilyevsky island is decorated with blooming flowers and fresh herbs lime trees, views of the Peter and Paul fortress and the Cathedral. 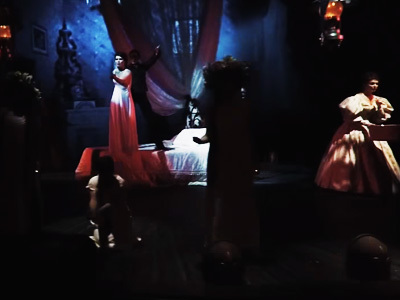 Information, photos and videos you can obtain on the official website of the musical: www.musicalonegin.com, where you can also buy tickets. For those who appreciate comfort and time, offer free services HTH service - Concierge.